WAIST HIGH: Happy 25th Birthday "Say It Again." Happy 25th Birthday "Say It Again." The Danse Society began in 1979 as Y, who then became Danse Crazy in 1981. The band were on the bill in 1980 for the second of the Futurama Music Festivals, a series of weekend-long rock shows held several years in a row at Queens Hall in Leeds. The Futurama Two Festival was filmed by the BBC and Danse Crazy can be seen playing a song called "Sink," and are credited as "The Danse Society." Other bands that played the Futurama Festivals were Joy Division, OMD, Cabaret Voltaire, Public Image Limited, Soft Cell, and A Certain Ratio. 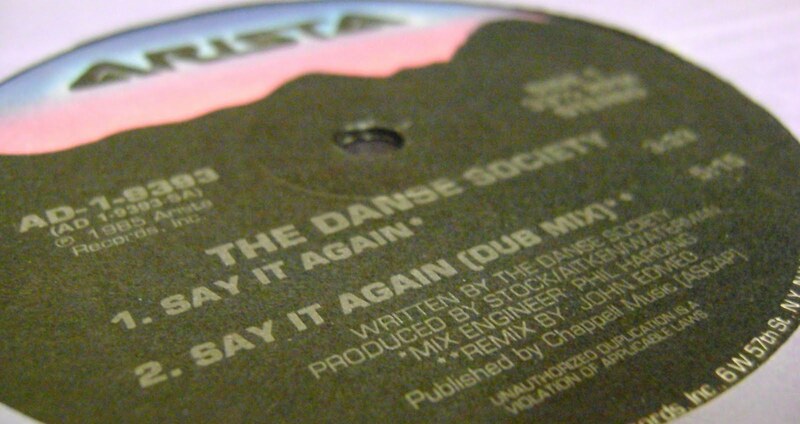 The Danse Society signed to Arista Records in 1983 and the little known Waist High favorite "Say It Again" was released in July 1985.